If your weight starts increasing after the age of 20, then this is mostly due to fat accumulation. If your weight is 10 kg more than the standard weight prescribed for your Age and Height, then you are obese and if you are 20 kg more than you are Overweight. By standing before the mirror undressed, you can figure out the areas to give attention for. Look for in which area there is fat accumulation more as compared to other areas. You have to work to reduce fat in those areas first. First and foremost benefit is an increase in self-esteem. Due to a reduction in fat, the menses are regularised in women and chances of getting pregnant increases in women who were not able to conceive so far. One tends to follow a healthy diet and healthy lifestyle henceforth due to the positive results they achieved. Obesity is the mother of all illness; it interferes with all the day today functions of the body. Tissues and muscles of obese persons are loose and weak. Joints and bones of an obese person start to become weak and fragile disintegrate from a very young age. For osteoarthritis of knees In Female, doctors suggest reducing weight as the first measure. Arteries and veins of an obese person become narrow and stiff which leads to blood pressure, heart pain and heart attack. Indigestion is a Common problem in obese people than in normal people. Obesity and Diabetes walk hand in hand and this is clinically proven. Important of all- obese person suffers in his marital life due to emotionally, mentally, physically problems. This reduces the lifespan of the person considerably. Eating food more than needed by the body and no or very less physical activity to burn this excess food is the main reason for weight/fat gain. The second reason is hereditary fattiness in some cases. Dysfunction of internal secreting glands is not seen related to any type of weight gain. In case of obese people, the excess food which is not burned gets convert into fats and stored in the body. 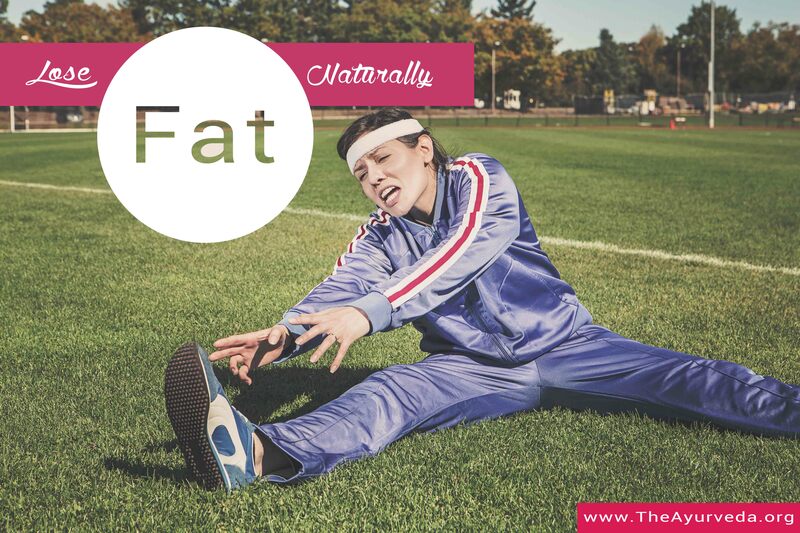 If there is no physical activity to burn this fat, the fats get accumulated day after day, year after year and then it becomes difficult to lose it by a little exercise. If a child is given more food from his first year, the number of fatty cells goes on increasing year after year and these children turn into obese people in the long run. Consumption of medicines like antidepressants, alcohol and like products which bring sedative effect on the brain is seen to increase the weight. Children should be encouraged to eat healthy food like fruits and vegetables instead of feeding them oily, fatty, junk food. Practice minimum intake of carbohydrates. Practice the habit of chewing food properly before swallowing. Some people just try to engulf their food which is then not digested fully and only the fatty content gets absorbed and the vitamins and minerals are not absorbed fully. Food should be chewed at least 32 times before swallowing. The opposite has to be followed with liquid food like juices, water, and soups. Do not Drink your liquid food but sip it allowing proper time between each sip and allowing the saliva to mix with each sip. Keep in mind- you have to drink your solid food and chew your liquid food. Give encouragement to outdoor sports and exercise. Even if you think it’s time-consuming everyone should devote some time of the day for some kind physical activity. Women can do household chores like sweeping or dusting the floor by themselves instead of telling it to the maid/servant. Take a printout of this questionnaire so you can refer to it from time to time. Answer to these questions will show you the trigger elements of your weight gain. A and B shows weight gain due to Physical problems and hereditary. Q C and D shows weight gain due to your eating habits. Q E shows obesity due to stress. Q F shows weight gain due to medicines. An MBA turned Naturopath. Certified and Registered by Council For Natural Medicine, Lucknow in the Phylosophy and Practice of Naturopathy as a Qualified Naturopath. Regd. No. 813/13.